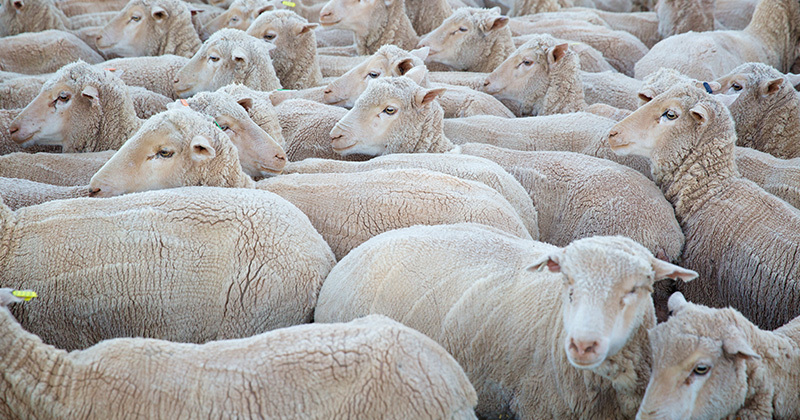 A bit of action was seen in the 19 and 21 micron categories to kick off 2019 for the wool forward market and some interesting developments in the coarse wool forwards gave growers a chance with crossbreds to get some cover at great levels. In the 19 mpg trades two trades were dealt for March 2019 at 2240¢/kg and October 2019 at 2140¢/kg. The 21 micron class saw orders filled between 2150-2160¢ for a June 2019 maturity. 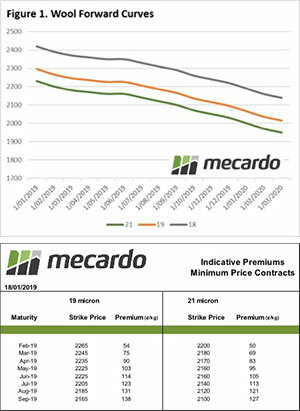 In the 28 and 30 micron bids have come in to the market that are quite competitive and providing growers a chance to look in at levels very close to the auction market all the way to June 2019 – something for growers to consider.